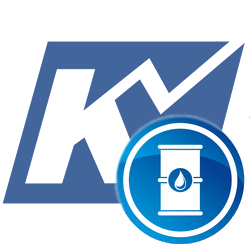 Oil Price Forecast Archives - Kase and Company, Inc. The near-term outlook for WTI crude oil became positive today, and although October did not settle above $69.8 it rose above that level late this afternoon. There is a lot of resistance near the upper limit of the $69.8 target, right around $70.0 still, so there is an outside chance the move up will stall early tomorrow. However, given today’s surge higher, and because prices have overcome the 62 percent retracement of the decline from $71.4, any pullback will most likely be a corrective buying opportunity for bulls while today’s $68.4 midpoint holds. The next objective is $70.4 and a close above this would call for $70.9 and eventually the next major objective of $71.5. This is the last target protecting October WTI’s $71.63 swing high. Therefore, settling above $71.5 would open the way for a new high of at least $72.0 this week. Immediate support is $69.3 and key support for tomorrow is $68.4, which should hold. Settling below $68.4 would suggest today’s move up was based on weak external factors that could not support the move up. In that case, look for prices to challenge $67.9 and possibly the $67.33 intra-day swing low. A move below the latter would invalidate the wave up from $66.86 and shift odds to be solidly back in favor of a continued decline. Brent’s move up accelerated again today and the pattern up from $75.64 has unfolded as a five-wave formation that met its Wave V targets at $79.54 this afternoon. The move up is poised to continue and $79.9 and likely $80.5 should be challenged tomorrow. That said, because the five-wave pattern met its target at $79.54 a corrective pullback might take place first. Such a move is expected to hold support at today’s $78.2 midpoint, which means the pullback will be a buying opportunity. However, a close below $78.2 would suggest the move up has stalled again and that another major test of support will take place over the next few days. Given today’s rise, this is doubtful. WTI crude oil has been trading in a very indecisive manner as traders seem to be waiting for clarification of recent events or new external factors to drive the next leg lower or higher. This was most evident today after the early move up overcame $68.1 as expected but stalled before reaching key near-term resistance at $69.1. The subsequent decline suggests that whatever factors drove prices higher late yesterday did not fully pan out today and that the overall outlook remains neutral-to-negative. There is crucial support at $66.3 and prices are already working their way toward that objective this afternoon. The key, however, will be a close below $66.3, which would then clear the way for prices to fall toward the next major objective at $63.9. Even so, the move down will most likely remain a grind, so there is a reasonable chance that prices could temporarily stall at $65.8 and $65.1 as prices fall toward $63.9. Immediate resistance is $68.1, a level that should continue to hold on a closing basis. Key resistance in the short-term is $69.2, a close above which would shift the near-term outlook to positive and call for another attempt at $70.4 and higher. Brent crude oil’s move up stalled again today at $73.93, which was just above last Wednesday’s $73.5 midpoint and the 100-day moving average. The move down from $73.93 then formed a wave that projects to $71.9 as the smaller than (0.618) target. This is an important near-term objective because a close below this would open the way for $71.3 and lower. Resistance at $73.7 is expected to hold, though $74.7 is still most important for the short-term outlook. Closing above this would be positive and call for key upper resistance at $75.3. Such a move is doubtful though without a surprise bullish shift in external factors. WTI crude oil is trading in an extremely indecisive manner and appears to be waiting on external factors to feed its next move. However, based on the charts and quantitative factors, near-term odds favor a test of at least $68.7 and possibly $68.0 after today’s failed attempt to overcome $70.0 left another long upper shadow on the daily candlestick. The $68.0 target is an important wave projection, retracement, and the 50-day moving average so it is a probable stalling point, at least initially. Settling below $68.0 would open the way for the next leg lower to challenge $67.2 and $66.5. That said, until prices fall below the $67.87 swing low, which is also in line with the $68.0 target, there is still a reasonable chance for the wave up from $66.92 to extend to $70.4. More recent waves show the connection to $70.4 is made through $69.6, so a close above this would substantially increase odds for a test of $70.4. Even so, key resistance and the gateway for a bullish outlook is $71.2, a level that is still expected to hold, for now. Brent’s move up today was a bit bolder than WTI’s but still stalled below $75.1, the 50-day moving average and last level protecting the $75.79 swing higher. The later move up from $74.14 also failed to overcome today’s high and the late pullback setup a wave that projects to $73.9 and lower. Tomorrow, look for a test of $73.9 before prices possibly attempt to reach $75.1 again. A move below $73.9 would call for $73.1, key near-term support, a close below which would clear the way for $72.5 and lower. Resistance at $75.1 needs to hold on a closing basis for near-term odds to remain in favor of a deeper pullback. Otherwise, settling above $75.1 would call for $75.6 and $76.3. The latter is the gateway for a long-term bullish outlook as discussed in our weekly Commentary and is expected to hold. August WTI crude oil overcame yesterday’s intra-day double top and met this week’s initial $70.9 target. In addition, today’s settle above a key retracement of the decline from $72.7 indicates the move up is unfolding as a five-waves and that the $72.7 swing high will probably be tested before the end of the week. Even so, there are some factors that suggest the five-wave move might stall early tomorrow. Today’s settle above the 62 percent of the decline from $72.7 and the larger than (1.618) projection of the wave $63.4 – 66.35 – 64.34 confirm the move up from $63.4 is a five-wave trend. The chart shows that Wave V is already well underway and may have already met a stalling point at $70.91. This is because when a five-wave pattern forms at least two of the three impulse waves (I, III, V) should be equal. Currently, at $70.91, Waves I and V are equal, thus the possibility the move up will stall and begin to pullback early tomorrow. However, even though intra-day momentum is overbought, there are no confirmed reversal patterns that definitively state this will be the case. Therefore, near-term odds favor a continued rise. With all factors considered, even if a small pullback to test today’s $69.4 midpoint takes place first, support will likely hold and the move up should then extend to $72.7. This is the highest that Wave I projects and the equal to (1.00) target of Wave III. Therefore, at $72.7 the move up would form a very classic looking five-wave pattern that would then be poised for a significant three-wave correction. Regarding near-term support, $69.4 should hold, though the key level for tomorrow is today’s $68.21 open. Settling below this before $72.7 is met would be a strong indication that the five-wave pattern has ended and that another attempt at $67.3 and lower will ensue. WTI’s corrective wave formation still calls for $67.0. However, today’s high of $66.7 was in line with the upper trend line connecting the $65.69 and $66.24 swing highs. It is also becoming clear that the move up forms a bearish flag. Therefore, while there is still the threat of testing $67.0 and possibly $67.7 (confirmed double bottom’s target), near-term odds have shifted back in favor of a continued decline. Tomorrow, look for a test of initial support at $65.8, a move below which would call for the flag’s $65.0 lower trend line to be challenged. Settling below $65.0 would be quite bearish and open the way for $64.1 and lower. That said, a move above $66.5 before prices fall to $65.8 would call for $67.0 to be challenged. Resistance at $67.0 is expected to hold due to the confluence of wave projections and retracements at that level. Settling above $67.0 would call for $67.7 and possibly higher, though this would likely indicate a significant bullish shift in external factors. Brent’s near-term outlook is still weaker than WTI’s and has more downside room to extend since WTI led the move down in late May. Brent’s wave down from $77.61 is in position to challenge at least $75.0 and likely $74.5 tomorrow. The latter is most important because it is the 50-day moving average, a close below which would call for a new low of at least $73.7 and eventually $73.1. Resistance at $76.5 is expected to hold, though the key level for the near-term is $77.3. A close above $77.3 would call for the most important near-term resistance at $77.9 to be tested. WTI crude oil’s trend remains bullish but is still showing signs of exhaustion. Daily and weekly momentum indicators are overbought and setup for bearish divergence, the weekly candlesticks continue to form long upper shadows, and before yesterday’s rise to a new high the daily chart formed a series of spinning tops, a shooting star, and an evening star. The challenge is that reversal patterns like these have been set up for the past few weeks or continue to form, but there has been no follow-through to confirm the patterns. Today’s pullback and test of yesterday’s $71.9 midpoint provides another opportunity for WTI crude oil prices to follow-through on a much-needed correction. The small waves down from $72.9 call for a test of Monday’s $71.5 open, a close below which would call for $70.9 and possibly lower. Even so, relative odds (based on the number of times a target is found within our analysis) indicate $70.9 will probably hold and that the move up should extend to $73.2 soon. A move above $72.6 before $71.5 is met would shift near-term odds back in favor of $73.2. This target has the highest relative odds, and due to its confluence is another potential stalling point for WTI. Settling above $73.2 would open the way for $74.4 and higher. With all factors considered, look for a test of at least $71.5 and possibly $70.9 tomorrow. Support at $70.9 should hold and until proven otherwise the move up will likely extend to $73.2. Therefore, at this point, any pullback will likely be corrective and could provide a buying opportunity for traders that have recently taken profit or missed the opportunity to add to long positions Monday. Brent crude oil formed a double top at $80.5 and today’s shooting star reversal pattern setup calls for a test of at least $78.9 tomorrow. A close below this would confirm the shooting and open the way for a test of the double top’s $78.1 confirmation point. This is key support for the near-term, a close below which would call for an extended downward correction to $77.2 and possibly lower (the double top’s target is $75.7). That said, reversal patterns like the double top and shooting star have been set up repeatedly and failed during the past few weeks. In addition, relative odds indicate that any move down right now will most likely be corrective and that eventually, prices should rise to $81.6. For now, though, $80.0 should hold and key resistance is $80.5. A close above $80.5 would shift near-term odds back in favor of a continued rise to $81.6. The overall outlook for WTI crude oil is positive. However, a double top around $71.9, daily spinning top candlestick reversal pattern, and intra-day bearish momentum divergence indicate the pullback from $71.92 should extend to at least $70.4 tomorrow. This target is split between a projection of the wave down from $71.93 and the double top’s $70.26 confirmation point. An early move below $70.4 will open the way for $69.9, $69.3, and possibly $68.8. Of these targets, $69.3 is the most likely stalling point because it is near a confluent wave projection and key retracement of the move up from $67.63. Even so, $68.8 has reasonable odds because it is split between the double top’s target and the most important projection of the wave down from $71.92. Should prices turn higher and overcome $71.4, look for another attempt at $72.0, a close above which would wipe out the double top, spinning top, and bearish divergence signals. This would also open the way for the move up to extend to the next major target at $72.8. This is the most confluent objective as discussed in our weekly Commentary and another likely stalling point for WTI. Late last week, June WTI crude oil broke higher out of a daily bullish flag. This week’s crude oil price forecast indicated there was still a crucial target at $70.1, but this objective was overcome with relative ease Monday. Today’s corrective pullback stalled at $67.63 before settling the day at $69.06. This was just above the upper trend line of the bullish daily flag, and this afternoon prices are already nearly $1.00 higher and have overcome the key 62 percent retracement of the decline from $70.84. Therefore, the outlook remains bullish and the move up is still poised to extend. The wave formations up from $67.63 indicate WTI should challenge at least $70.6 and likely $71.1 tomorrow. This afternoon’s bullish sentiment (which is purportedly based on external factors) could also drive prices to $71.7 and even $72.8, especially if prices rise above $71.1 early. That said, when external factors and bullish sentiment are driving the market prices tend to become over exuberant and can overshoot reasonable objectives. While $71.1 and $72.8 make technical sense for the near-term, anything above $72.8 without a reasonable pullback first would warrant caution of a spike type scenario that could reverse very quickly. For now, look for support at $68.6 to most likely hold with the key threshold at $67.9. A close below the latter would indicate the move up has failed and would open the way for a larger downward correction to $66.8 and lower. Although Brent formed a bearish daily hanging man, prices have risen over $1.00 this afternoon after settling at $74.85. The wave formation up from $73.1 is poised to reach at least $76.8 and likely $77.8 tomorrow. A close above the latter will open the way for $78.6 and $79.9. That said, the bullish sentiment driving prices higher this afternoon (see WTI’s comments above) could push prices too high too fast, causing a spike type scenario that could quickly reverse. Therefore, caution is warranted on any move above $79.9 over the next few days without a reasonable pullback first. For now, support at $74.2 should hold, though prices will have to drop below the $73.07 swing low to indicate the move up has failed. In this unlikely case, look for a larger downward correction to $71.7 and possibly $70.8. June WTI crude oil briefly broke lower out of the recent sideways trading range between nominally $67.1 and $69.5 when it fell to $66.85 today. The settle below April 18’s $67.58 midpoint indicates the near-term outlook is negative, though at this point prices will likely have to settle below $66.7 to confirm the downward correction is going to extend before prices eventually challenge the next major objective at $70.1. Tomorrow, look for a test of $66.7, a close below which would open the way for $66.0 and lower. Even then, WTI crude oil still has a long way to go before the long-term outlook becomes bearish, so any move down right now will most likely be corrective. That said, prices settled just above the bottom of the recent trading range and the small wave formation up from $66.85 indicates a test of today’s $67.9 midpoint might take place first. A close above this would call for key near-term resistance at $68.6. For the downward correction to extend to $66.0 and lower this week $68.6 must hold. A close above this would shift near-term odds back in favor of $70.1.